Minimize risk and protect against cyberattacks throughout your security infrastructure with timely, reliable, accurate, contextual and easy to use threat intelligence from Infoblox. The data is curated from multiple partners and include data from leading providers, government agencies, AIS and universities. Customers can use a single platform for management and distribution of all their licensed data sets within their ecosystem. 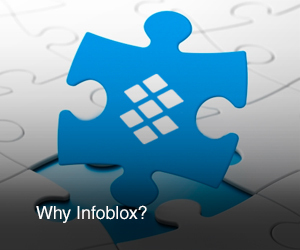 With 10 years in the business, Infoblox Cyber Intelligence Unit creates, aggregates, and curates information on threats to provide actionable intelligence that is high quality, timely and reliable. You can be confident in what you are blocking, while ensuring unified security policy across the entire security infrastructure.